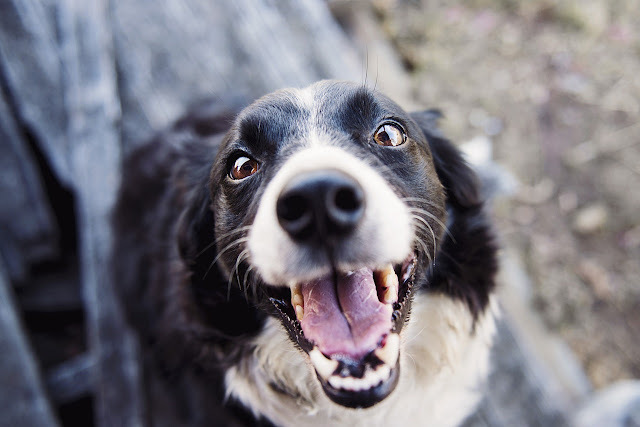 Dogs are adorable, lovable creatures that can brighten anyone’s day. Puppies, however, are a whole other ball game. They are so cute and so cuddly that nearly everyone would love to have one of their own. The only problem with this, is when irresponsible owners buy a dog and are not able or don’t take care of their new puppy as well as they should. When it comes to bringing any new creature into your life, you need to be responsible. You need to have the finances saved and be ready to cover the cost of vets, food, and toys. You also need to have the time in the day to spend with your new family member. When you take care of them properly, there are so many health benefits of owning a dog. You get your daily requirement for exercise, you have a social companion, you can make friends, and owning a dog will also boost your immune system. Health-wise, there is nothing but pluses for owning a pet, but that doesn’t mean everyone is ready to have one. Getting a dog without really thinking about whether you can handle it is the easiest way to hurt an innocent animal. In the best case scenario, you slowly get better and closer to providing your furry friend with what he needs to live a happy life. In the worst case scenario, your lack of preparation leads to genuine neglect and abuse. The bigger the dog, the more exercise he or she will need. That is why you need to take your living situation into consideration. You can live in a small place with a large dog if you also have access to a large outdoor area. Apartment living in the city will make it very difficult to meet a large dog’s exercise needs, while small dogs are better suited. That being said, not all small dogs are the same. Westies, for instance, are pretty little white dogs, but treating them like any other toy breed is a mistake. Westies are bred hunters, and as such need exercise, stimulus, and experienced owners in order to keep happy. You don’t need to have owned a dog beforehand to own one, of course, but dog-sitting a friend’s furry companion can help you see what it takes to be a pet parent. Know your living situation, know your lifestyle, and search for a breed based on you. All breeds have characteristics and traits, meaning you can find a dog that suits you with ease. In the case of mixed breeds, know the characteristics of all the components, and only choose a mixed breed puppy if you could handle taking care of his parents. Once you have decided you are ready for a dog and you know which breed best compliments your lifestyle, it is time to get into how to take care of your new pooch. Your first step, of course, should be to visit a professional like the ones at the animal hospital Mt Pleasant, SC. Puppies need to be licensed, and they will also need a checkup when you first bring them home. This is to give you the chance to know about any underlying health concerns your new puppy might have (useful if the breeder wasn’t as thorough). This time will also be important for setting up the schedule for vaccinations. Puppies cannot go into the world without these vaccines and can get very sick without them. Until they are all caught up with their immunizations, however, you get to cuddle and play with them in your own home! From there, it will be all about training. The earlier you start this training and the more consistent you are with it, the easier and better behaved your dog will be. If you aren’t sure on how to train a dog, take your puppy to a puppy training class. These classes are usually set up by your local pet store, and if not contact your vet to see where they recommend. These classes are great for both the owner and the puppy and can be done by adults and children alike. Once your puppy is ready to go out into the world, it’s key to remember that his training continues outside. Getting a dog to come to you inside is one thing, getting him to return on command when there are things to chase about and explore is another. That is why you should be consistent with your routine and your behavior so that your furry baby can learn the right way to act as soon as possible. To keep him healthy, walk him either once or twice a day. The bigger the dog, the longer the walk. Large, active dogs might even need more exercise than you can give, which is when hikes and dog parks are so useful – you can enjoy a slow and leisurely walk, and they can run wild. If you are holding back from getting a dog just because there are young children in the house, don’t worry. In fact, studies have shown that children who grow up with a dog or cat in the home are less likely to develop allergies. The benefits, however, don’t stop there. Getting your children to help take care of your puppy will help teach them responsibility from an early age. This responsibility will then help them throughout their lives. Dogs are also great social companions, meaning you can benefit from their love, and so can your children. Dogs are excellent companions to have for the whole family, but you need to ensure that you are in the right place before committing to one. If you are, be aware of your living situations and lifestyle before you choose the breed, because there is the perfect dog out there for you, you just need to do a little bit of research beforehand.